And that's when the Police stopped me . . . Seriously – I am going to post about this later . . . figured the picture would be a good tease . . . and I am nothing if not a tease . . . Okay – okay – now the story that I was talking about – the story that the picture is about – and just a quick quick bit of what led up to 2:30 am Tuesday night . . .
Where was I going? Why would I drive so far? Well that’s all a bit beside the point – just trust me – I drove a whole bunch – and went to some places – saw some people and did some stuff. If I get the notion – and some time – I will sift through my brain and shake some of the stories of the in-between out onto the table for you to see . . . but I can’t promise anything – I got really bleary . . . So – after driving seventeen hours (17), I went to the post office to check my p.o. box – and then to the bank to deposit a check – and then just as I was passing chik-fil-a, I noticed to police officers having one of those chats – where the cars are facing in opposite directions – so that they can give a firm hand shake and proper see you later when the conversation is done and they scoot about their merry way. As soon as I went by – zoomp – one of the cars was right behind me. You know that magical thing that police seem to do where they seem to actually be driving on top of your car right before they either swoop around you or click the lights on?! Well that was the game that he decided to play – I was too tired to even get the ice in the pit of my stomach – just maintaining my speed and not doing anything too erratic . . . almost home – almost home – and then the lights came on. His horse – who I decided to name “Champ” – because he seemed so much like a “Champ” whinnied as he stood on his back legs and for just a second they were captured perfectly in the moonlight . . . man I wish that I had my camera ready – and that it wasn’t possibly illegal to photograph police officers as they charge out into the night . . .
Then I slunk home to catch some “z’s” – as the kids are calling them these days (and by “them” I probably mean sleep(s)?!) – and to dream of “Champ” the mighty police horse pulling my lifeless body from the icy waters of the Hudson . . . what a night of sleep it was! Some of the above may/may not have happened . . . I will say it again – and I stand beside my initial point . . . I was a bit bleary . . .
https://www.nattybumpercar.com/wp-content/uploads/2008/04/sticker.jpg 0 0 natty bumpercar https://www.nattybumpercar.com/wp-content/uploads/2008/04/sticker.jpg natty bumpercar2006-05-17 23:39:462012-11-27 17:44:23And that's when the Police stopped me . . .
You know those people that come to your house? So today I was working upstairs – which is where all of the “magic” happens – and then ‘bing-bong’ goes the doorbell. I rushed down the stairs and answered the door in an extremely dissheveled and frenzied manner – which – and I know that you weren’t necessarily asking – is usually a great way to open the door if you are trying to get rid of the people doing all of the ‘bing-bong(ing)’. Them:Why hello sir! What a glorious day we are blessed to be having. Would you be interested in . . . It is usually by now that they realize just how dissheveled and frenzied my door opening was and start to trail off. So then I mumble something about “Having to work . . . working from home . . . gotta go to do some work” or something even more effective like coughing uproriously and then – and yes I do go back to the mumble for this – “Really sick . . . work from home . . . sorry about my dog . . . gotta go do something.” At which point they usually give measured glances to me and then at each other and decide to just cut their losses give me their pamphlet and go to the next house. Today was the exception (and I have to point out that this was their third visit this week – and so I think that they are catching onto my little game) – I pulled the mumbling work thing – they gave me their pamphlets – and then the deal was done – right?! Oh no friend – because as they were leaving – just before they threw in their “Have a blessed day” thing – the leader mentioned that they would love to come back and talk with me about whatever I was supposed to be reading in their pamphlets . . . like some sort of potential pop-quiz or something. I was trapped – my tricks hadn’t gotten rid of them at all and so in a vain effort I threw out the “Even though I work from home . . . meetings . . . sometimes I go out . . . to meetings.” or something like that. She just looked and – even though I’m not even really sure if she said anything – this is what I got from her eyes – – “We know when you are here . . . we will find you . . .” So I have lost this battle . . . and will be boarding a cruise to Antigua on the first of the month . . . or maybe I’ll just have them in for tea and cakes . . . or – or – or . . .
https://www.nattybumpercar.com/wp-content/uploads/2008/04/sticker.jpg 0 0 natty bumpercar https://www.nattybumpercar.com/wp-content/uploads/2008/04/sticker.jpg natty bumpercar2006-04-29 20:13:362012-11-27 17:44:22You know those people that come to your house? So last night I was out and about – usually whenever I leave the house I tend to go “out and about” – or if I am feeling particularly Canadian then I may sometimes also go “oot and aboot” – but that is besides the point – so let’s ignore all of that and get back to that that that there point. It was around a quarter after ten in the evening when I found myself at one of the local “doughnutaterias” – what a treat it is to watch the big machine make the little doughnuts – but more on that some other day – for right now one important thing to point out is that I noticed that the doughnuts seemed to be a bit “cakey” on the line (or maybe a tad overcooked?!) – they just looked a bit off . . . Anyway – I ended up with a plain doughnut with chocolate frosting and multi-colored sprinkles and a “quick-slam” jug of milk – or something like that. Once in the car – I pulled out the doughnut and started to eat it – and that was when it hit me . . .
As much as I would love to think that there was something intrinsically weird or wrong with my “cakey” doughnut . . . I had to ask the question – am I past the point of doughnut goodness?? And don’t get me wrong about it being too “sweet” or anything – I drank 1 1/2 gallons of serious sweet tea yesterday – but maybe it was too sweet or something . . . Is this just a bump in the road – or something more final? Tonight – I think that I’ll take a bath in simple syrup to find out – or maybe the dog will . . . maybe – just maybe . . .
Last night I ate some rice . . . But seriously – it wasn’t just any old rice – it was fairly-super-great rice . . . it needs a bit of tweaking – but I think that it’ll get there. I dropped some cilantro, garlic, scallions, salt, pepper, butter, lemons and limes into the rice cooker – and let it go go go . . . I need to figure out how to get all of the flavors to like each other and then how much of which and what to put in there – but it’s just a start . . . a tasty treat of a start. On the side we had a mixed greens spring salad mix thing – which could have been anything – the real excitement came from the Makoto Ginger dressing. So so so so so so so good – it’s almost like being at one of those Japanese steak houses – which are some of the best places in the world . . . except without all of the steak, shrimp and fun . . . The fun came from watching Cannonball run . . .
Rice – Ginger – and Sammy Davis Jr. as a priest in a red Ferrari oh what a treat!! 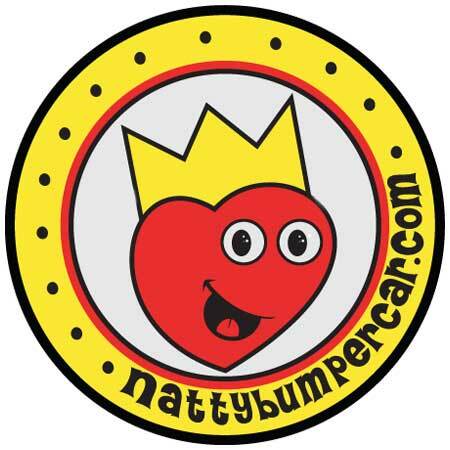 https://www.nattybumpercar.com/wp-content/uploads/2008/04/sticker.jpg 0 0 natty bumpercar https://www.nattybumpercar.com/wp-content/uploads/2008/04/sticker.jpg natty bumpercar2006-04-24 15:41:272006-04-24 15:41:27Last night I ate some rice . . .
Now my dog needs a license . . . So evidently the Decatur dog parks are getting to be too big for their puppy britches . . . and now my innocent little angel of a dog [Irving Brown Socks] has to go in and get some sort of license. Will he need to take some sort of eye test, or study from a book of rules and symbols, or have his height/weight/eye color scrutinized by some humorless by the books toady?! Iâ€™m not even sure â€“ go to this link and read everything and let me know . . . for right now â€“ we are going to be too busy working on parallel parking and stuff . . .
https://www.nattybumpercar.com/wp-content/uploads/2008/04/sticker.jpg 0 0 natty bumpercar https://www.nattybumpercar.com/wp-content/uploads/2008/04/sticker.jpg natty bumpercar2006-04-19 15:28:302012-11-27 17:44:13Now my dog needs a license . . .